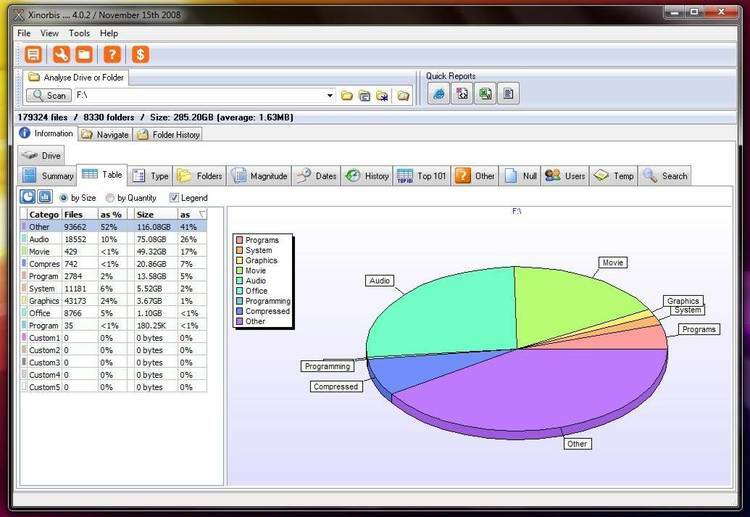 Graphical (pie chart) disk space monitor for Windows 3.x. DiskMon is a program for monitoring available disk space in the Microsoft Windows environment. DiskMon's icon is a pie chart that shows the current amount of free space on a particular hard drive. At user-specified time intervals, DiskMon will check the drive and adjust its icon pie chart to reflect the current status of the drive. If free space goes below a user-specified level, DiskMon will let you know by sending a message (if you like), beeping (if you like) and by changing the color of free space on the pie chart to red. The disk drive that DiskMon monitors will default to the drive that you are currently attached to. You can change (as described below) to any drive you have access to. If you need to monitor the status of more than one drive, you can start multiple copies of DiskMon. DiskMon is especially useful in a network environment, where you need to monitor many disk drives. The program will automatically detect all available disk drives (up to nine drives) and allow you to switch among them at the touch of two function keys (F5 and F6). Detailed information about available space on the chosen drive (along with a pie chart) is given when DiskMon is activated (un-iconed). Under Controls, you may choose the time interval for checking disk space, a level of available space below which you wish to be warned, and whether or not you wish to be messaged and/or beeped when available space is low (below your chosen level). Under Drives, you choose the drive you wish to see. Note that the main window is updated as soon as you choose a new drive, so you can switch among several drives and see available space very quickly. Alternatively, you could use F5 and F6 while displaying the main window. Under Icon Appearance, there are several options concerning DiskMon's icon. You can choose an icon title of you own and choose between seeing (or not seeing) the drive letter and/or the available space on the icon and also choose to have (or not to have) a frame drawn around the icon. The frame is useful if you have busy wallpaper. The options you choose under Controls and Icon Appearance will be saved to DISKMON.INI in your windows subdirectory so that your choices will be saved and restored the next time DiskMon is started up. To try DiskMon, simply run DISKMON.EXE. Iconize it and watch as it keeps track of available space for you. I will then send a diskette containing the latest version of DiskMon, minus those annoying reminder messages. If you have any suggestions concerning the program, please include them. This program is provided AS IS without any warranty, expressed or implied, including but not limited to fitness for a particular purpose.